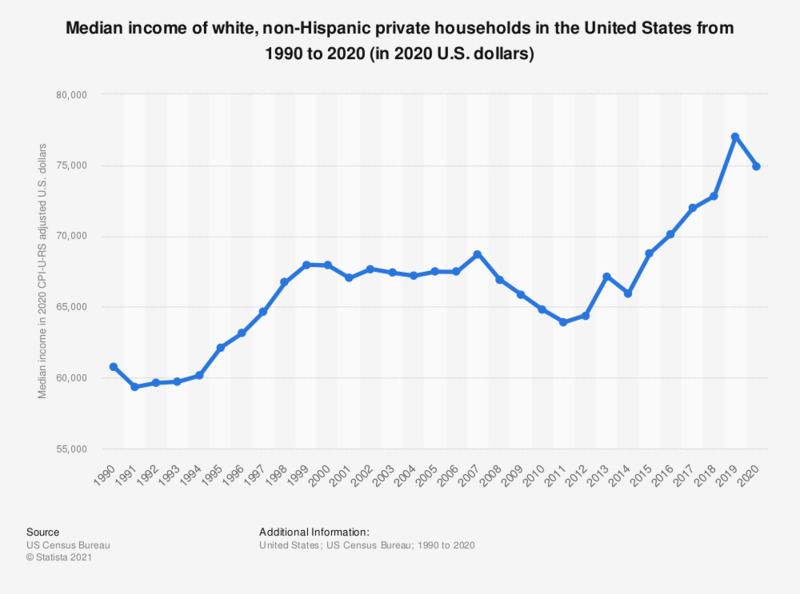 The statistic shows the household income of white families in the U.S. from 1990 to 2017. The median income in 2017 was at 68,145 U.S. dollars for white, non-Hispanic families. Income in 2017 CPI-U-RS adjusted dollars. Households as of March of the following year. Beginning with 2010, standard errors were calculated using replicate weights. 2002-2017: White alone, not Hispanic.